The Women’s Business Connection (WBC) is very active in the community and in 1996 adopted their first community outreach partner, the YWCA of Chester County. Since that time WBC has been involved and supported several organizations. Whether it was through a clothing drive for the Career Wardrobe, fundraising efforts, or physical labor provided to assist the first ever Habitat for Humanity Women Build in Chester County, WBC members have reached out to our partners delivering the support they need. 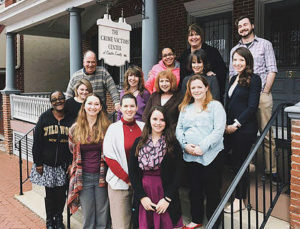 The Crime Victims’ Center of Chester County, Inc. The Crime Victims’ Center of Chester County strives to be the model organization providing counseling, advocacy, resources, and education to those victimized, directly and indirectly, by crime and violence within our community. The Crime Victims’ Center of Chester County, Inc. (CVC) is a nonprofit agency providing free, immediate, and confidential crisis response and compassionate support to children and adults impacted by crime and violence. We provide assistance through counseling, advocacy, resources, and education. The Center fosters community awareness and understanding through its comprehensive outreach and prevention programs. 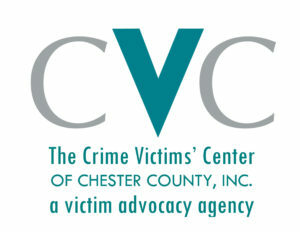 Learn more about The Crime Victims’ Center of Chester County, Inc. (CVC) by visiting their website, www.cvcofcc.org.